I have been noticing a lot of people are flying around the Zibo 737 mod for XP11. Its a great airplane and best part its free!!! 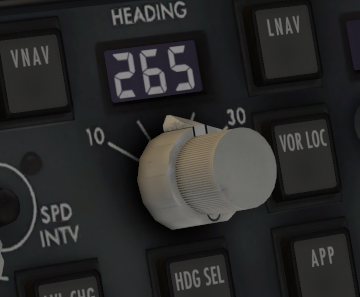 However there is something critical that people are missing when flying on VATSIM with this bird that makes it a hard on ATC. When in the terminal area (approach) make sure you set your BANK ANGLE on the autopilot to 25 or 30 degrees. 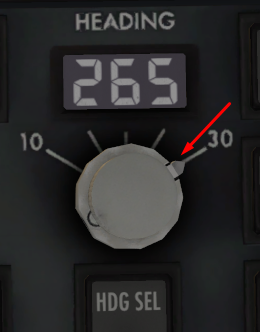 The default setting for this when loading up the airplane is 15. This makes it extremely difficult to vector you onto final when we expect your going to turn at a normal 30 degree bank. This is what it looks like when you load the aircraft before a flight. PLEASE PLEASE PLEASE Set it to this once below FL180 and entering the terminal area. Also if you're flying any other plane, check to make sure you have the right bank angle set. It will be more or less the same as this.